What an almighty run from Jessica Harrington's first ever participant in the world's greatest steeplechase, who despite a couple of shuddering errors, stayed on gamely to finish a magnificent second in the colours of Ann & Alan Potts. The only mare in the race - who carried 10st 11lb, effectively ran through the Chair (15th) on the first lap, yet somehow emerged the other side with Paddy Kennedy still in tact. She was always prominent on both circuits, before being headed by the winner in between the last two fences. Winning a Grade Two Mares Hurdle at Ascot back in January, the eight-year-old was competing on her first start beyond 3m1f, and did her connections proud ever-so proud. Ruby Walsh was another that had an excellent spin from the front, aboard last year's four-mile winner at Cheltenham - Rathvinden, as he went in search of a third success in the race. Winner of the Bobbyjo Chase in Ireland on his only start this season, the eleven-year-old arrived at Aintree with a fantastic chance of landing big race glory and was subject to some big money on the day. Punted into second favourite at 8/1, he was always prominent and only succumbed to one major error which came at the water jump (16th) at the conclusion of the first lap. He was headed by the winner four of five out from end, and although he looked beaten, he stayed onto finish an excellent third. Talk about performances, what an effort from the 2017 hero One For Arthur, who had failed to complete on his two racecourse appearances this term, but appeared to relish the return to the scene of his greatest triumph. Held up towards the rear, the ten-year-old was still in the last pair after jumping Bechers Brook for the second time, but began to make significant headway three from the finish. He looked to be travelling sweetly into fourth on the elbow, but emptied quickly and fell back to sixth; just outside the places. Given his record his term, he outran his 25/1 odds and rediscovered his best touch which delighted the owners, his trainer Lucinda Russell and jockey Derek Fox. Considering how far back he was from the pace, this was proof there is still plenty of life in One For Arthur going forward. 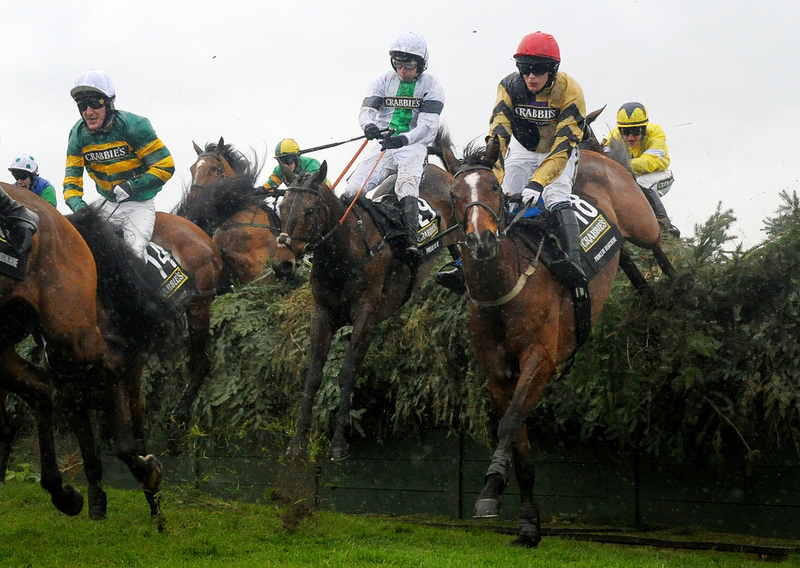 There is nothing more unlucky than falling at the first obstacle in any race, let-alone the Randox Health Grand National. Vintage Clouds has been a revelation since wind surgery and arrived on Merseyside as a very strong fancy for the big race for trainer Sue Smith and owner Trevor Hemmings, who have both had memorable days here in the past. However, his fall could work in his favour as he could follow a similar path to the avenue taken by another of Hemmings horses' back in 2017 - Vicente, who also fell at the opening fence in the Grand National, but with plenty of fuel reserves, he took Scottish Grand National glory two weeks later instead. Vintage Clouds only has a few days to recover from his tumble, with the Ayr showpiece coming this Saturday. In a race that clearly suited the front-runners, Pleasant Company can find himself a shade unlucky when he blundered four out and unseated Paul Townend as a result. Last year's close runner-up was running another big race - considering his poor form this season, and was spring heeled at the majority of his fences. But one blunder in a race of this nature does spell trouble, and he went down when disputing a close fourth and was not far off the three leaders. Another well backed Mullins runner on the day, could have certainly have spoiled the party for Tiger Roll's historic second success, but for that we will never know.